Take advantage of recreational opportunities offered, including a health club, an indoor pool, and a sauna. Additional amenities at this hotel include complimentary wireless Internet access, babysitting/childcare (surcharge), and an arcade/game room. Located in Rust, Ferienwohnung Misita is in a rural location, within a 15-minute walk of Ortenau and Europa-Park. 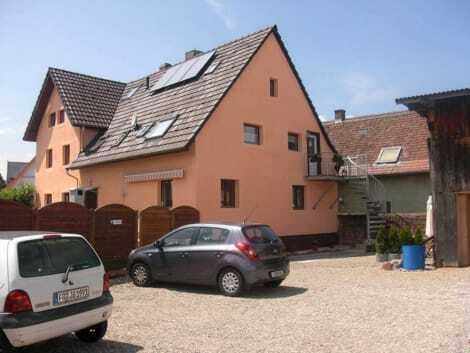 This apartment is 11.4 mi (18.3 km) from Kaiserstuhl and 27.6 mi (44.5 km) from Little Venice. Enjoy a meal at the restaurant, or stay in and take advantage of the hotel's room service (during limited hours). Wrap up your day with a drink at the bar/lounge. A complimentary buffet breakfast is served daily from 6:30 AM to 10:30 AM. lastminute.com has a fantastic range of hotels in Rust, with everything from cheap hotels to luxurious five star accommodation available. We like to live up to our last minute name so remember you can book any one of our excellent Rust hotels up until midnight and stay the same night.